Academy of Business and Engineering Sciences (ABES), with captivating state of art campus having aesthetically lush green, serene and capitulating landscape of eco-friendly environment and situated on Delhi Hapur by-pass road, NH-24, 11 Kms from Delhi border with proximity to hub of industries, MNCs and business houses was started in 2000 with B.Tech. ( CS, IT,EC) and MCA, with the approval from AICTE, New Delhi and affiliated to UP Technical University, Lucknow having UPTU code 032. In the following years ME (2003), MBA (2006), EEE (2008), MCA (2008) and M.Tech. were also approved. In 2009, Academy of Business and Engineering Sciences (ABES) was renamed as ABES Engineering College with UPTU Code 032 after due approval, having B.Tech., MBA and MCA programs. Along with this another Institution, Academy of Business & Engineering Sciences with UPTU Code 459 with MCA program was approved. Campus: Academy of Business and Engineering Sciences (ABES), with captivating state of art campus having aesthetically lush green, serene and capitulating landscape of eco-friendly environment and situated on Delhi Hapur by-pass road, NH-24, 11 Kms from Delhi border with proximity to hub of industries, MNCs and business houses was started in 2000 with B.Tech. ( CS, IT,EC) and MCA, with the approval from AICTE, New Delhi and affiliated to UP Technical University, Lucknow having UPTU code 032. In the following years ME (2003), MBA (2006), EEE (2008), MCA (2008) and M.Tech. were also approved. In 2009, Academy of Business and Engineering Sciences (ABES) was renamed as ABES Engineering College with UPTU Code 032 after due approval, having B.Tech., MBA and MCA programs. Along with this another Institution, Academy of Business & Engineering Sciences with UPTU Code 459 with MCA program was approved. Both the institutions are NBA (AICTE) accredited and ISO 9001- 2000 certified are providers of high quality training in Technical & management education leading to B.Tech. , MCA, MBA and M.Tech. degrees under the able guidance of highly qualified and motivated faculty, which includes highly experienced professors of repute from IITs and other similar organizations. Central library: The Central Library of ABES has a wide collection of books on Engineering Technology, Humanities and Management.It was established in 2000 and has acquired a large collection of books, Journals and non-book material. It has computerized its major house- keeping activities using a software developed in house. It is being maintained and updated regularly by the library staff. It uses state-of -the art technology in its functioning and services. The library offers computerized catalogue search services through the OPAC. Sufficient number of PCs are placed in the user area for the students and faculty to access the OPAC. Our Library Catalogue can also be searched through Intranet in ABES Campus. We would like to introduce our library as a “Bookworm’s paradise”. The library houses Text books, Reference Books, Print & e-journals and magazines, News papers, CD’s, Course Material etc., We take pride in saying that we have very good collection of National and International books. Added to this, we have a wide collection of general books which help to increase the knowledge of our students in different fields. The hostels Boys’ & Girls’ are aesthetically built with comfortable living conditions in the college campus to make the student feel, “A Home, Away from Home”. 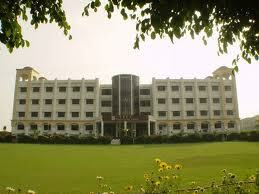 There are three boys’ hostels named Vivekanand Bhawan, Ramakrishna Bhawan, and newly built Dayanand Bhawan. The girls hostel christened as Vidushi Bhawan “A” block and newly built Vidushi Bhawan “B” block.